In our blog post “Ten Questions to Ask Your Speaker Bureau (Part Two)”, we pose the question “Who is your favorite speaker and why?” as an issue to discuss when vetting a speaker bureau or agent. Since publishing this post last year, The Speaker Experts have been asked this question many times. Frankly, we have a number of favorite speakers that make this particular question a very difficult one to answer. However, if we had to select the speaker with the greatest impact, it would be Dr. Beck Weathers. Why? After seeing him speak for the first time in 1998, not many days go by where we don’t think about his message from 17 years prior. His is a gripping story that sticks with you for years to come – one of heroism, bravery, and ultimately, the human struggle against the forces of nature. On August 7, 2008, Dr. Beck Weathers retired from the speaking circuit after a ten year run as one of the most in-demand inspirational speakers. However, Dr. Weathers has agreed to accept a select number of speeches in 2015-2016 to coincide with the September 18, 2015 release of the major motion picture EVEREST. Josh Brolin portrays Weathers in the film while House of Cards Star Robin Wright plays the role of his wife Peach. The film also stars Keira Knightley, Jake Gyllenhaal, and Sam Worthington. His first presentation back from retirement was a personal request from Virgin CEO Sir Richard Branson asking Dr. Weathers to share his experiences with a select leadership group on Necker Island. Earlier this year, Dr. Weathers addressed over 5,000 auto dealer employees at the National Automobile Dealers Association Inspirational Breakfast. Last week he was the closing speaker at the National Rural Electric Co-Op Association Annual Meeting where he addressed over 7,000 of their members. Dr. Weathers still runs a thriving pathology practice in Dallas but has agreed to accept a select number of speaking invitations for the remainder of this year and early 2016. 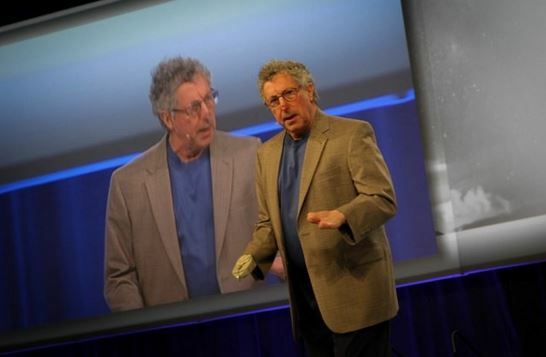 If your organization is considering an inspirational speaker during this time frame who will leave a life-changing and lasting impression on every meeting attendee, contact your favorite lecture agent to discuss Dr. Beck Weathers’s availability. 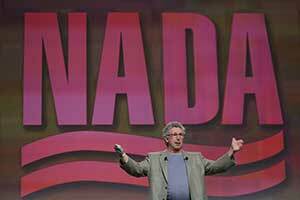 Beck Weathers spoke at one of our events in the early 2000s. I have been to scores, probably hundreds, of keynotes over the years, and his was unequivocally the best. He was mesmerizing.